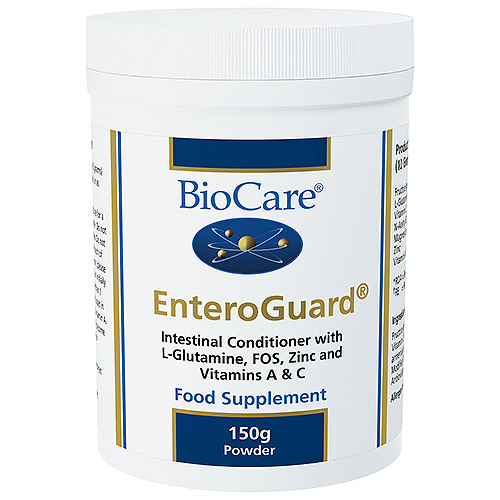 EnteroGuard combines the main ingredients of Magnesium Ascorbate, L-Glutamine and N-Acetyl Glucosamine as an intestinal conditioner. L-Glutamine is an amino acid required for cellular growth of epithelial tissue in the intestinal tract. N-acetyl Glucosamine (NAG) is an integral part of the cell ground substance for cells of the intestinal mucosa. Fructooligosaccharides (FOS) provide a source of bifido growth factors that specifically encourages the growth of Bifidobacteria in the intestine. Vitamin C has a role in strengthening connective tissue and magnesium is involved in maintaining smooth muscle and nerve integrity. Zinc is required to maintain the defences of the intestinal mucosal barrier and for tissue and cell growth. Vitamin A is required for immune status and is essential for the maintenance of the mucous membranes. Two teaspoons (approx. 10g) mixed into water and taken daily with food or as professionally directed. This product can initially cause wind and bloating. 1.83g of vitamin C may cause mild stomach upset in sensitive individuals. 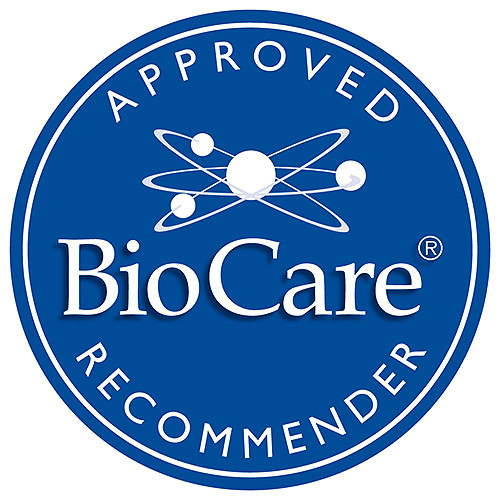 Below are reviews of EnteroGuard - Intestinal Support - 150g Powder by bodykind customers. If you have tried this product we'd love to hear what you think so please leave a review. 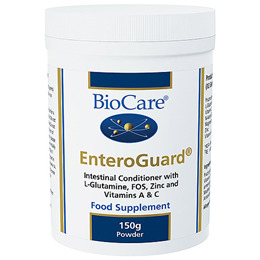 EnteroGuard combines Magnesium Ascorbate, L-Glutamine and N-Acetyl Glucosamine as an intestinal conditioner.